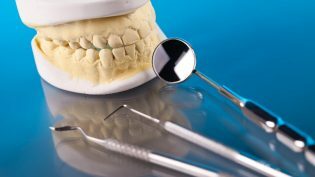 Cleanings and checkups: It’s important to visit your dentist even for simple procedures like a cleaning and checkup regularly. Doing so helps to keep your teeth and gums clean and healthy, and it allows a professional to evaluate your mouth, treat any issues quickly, and prevent more serious problems from arising. Fillings: Cavities happen. In order to prevent cavities from turning into more severe decay, a filling should be used to repair the tooth. Your dentist will be able to identify cavities from x-rays and exams, and if you keep up with your regular appointments, you should be able to get these treated and properly filling before any more damage occurs, saving you money in the long run! Root canals: When a cavity is left untreated, it often turns into a root canal, which is a more serious form of tooth decay that runs too close to the nerves in your tooth to be filled traditionally. Instead, Dr. Chan will remove the tissue within your tooth, clean out the inside, and fill and crown the tooth (see same day crowns). Tooth replacement: If you have lost or severely damaged a tooth due to extensive decay or trauma, tooth replacement may be needed. Since there are several options available for tooth replacement, Dr. Chan will be able to evaluate your unique situation and determine the best treatment options. Dental implants are a very popular choice as they offer a very strong and natural looking replacement option. Cosmetic dentistry: Everyone wants a smile that they feel good about, so it’s no surprise that cosmetic treatments are very popular for dentistry patients. Whether you’re looking to get your teeth professionally whitened, or looking for a veneer to cover a cracked or discolored tooth, cosmetic dentistry procedures are a great option! If you have any questions about the services that we offer, contact Classic Dental Smiles today for more information! We are always happy to answer any of your questions, and we can schedule an appointment with our experienced dental expert, Dr. Brian Chan, to help you find the best dental services to meet your unique needs! We look forward to helping you achieve the smile you’ve always wanted!